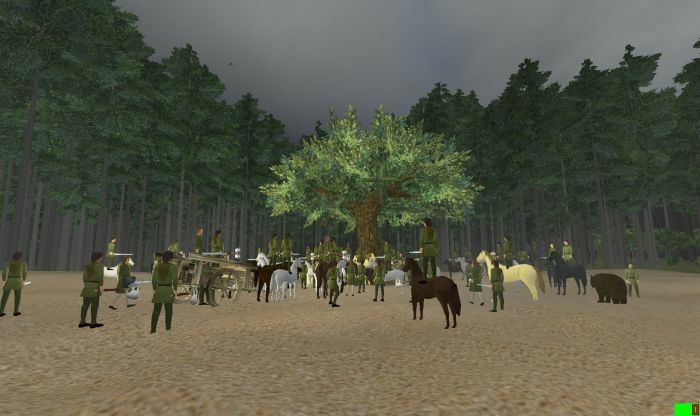 How To Make Money in WurmOnline #WurmOnline – Nomadic Gamers, eh! The number one question I hear throughout any given day (besides how do I make a mallet) is ‘how do I make money’. There’s only one get rich quick answer and that’s to buy your coins from the shop. Every other method of making money in WurmOnline requires skills, patience, or a lot of time. Still, there are ways so I thought I’d write about them. 1. Purchase in-game currency from the shop. The prices are reasonable and honestly if you’re going to go with a premium subscription (which I suggest) you could pay $10 EU a month, and have 5 silver every month to spend. Personally speaking, this is what I do for each of my accounts. I’ll be blunt, aside from my deed upkeep (1s 40c a month) I don’t have much need to purchase anything else. I spend the extra money to help support the economy in-game, I think it’s an important thing to do. 2. Advertise that you’re looking for work. This is (imo) the second easiest way to make money in Wurm. You need to advertise though. You can post on the forums that you’re currently looking for work, talk in kchat (also known as Freedom, if the tab is closed just /shout). There are typically people looking to hire. The tasks will be incredibly boring, it will be things like making bricks, and loading frying pans. If you’re lucky they’ll offer you a comfortable place on their deed for you to stay, maybe even some meals and or tools depending on what you’re going to be doing. 3. Sell high QL items to other players. This method of making money takes a LOT of work. You need to have high skills, maybe even a priest so you can enchant items. You’ll need to have an established deed or at least access to one. You’ll need to have a premium account so you can imp (improve) items. However, once you’ve reached this point it can be VERY rewarding. Players are always looking for things like tools, rope, boats, meditation rugs, armor, weapons, and other fancy items. Again advertising on the forums and in channels would give you a better audience, loading a merchant up within easy access is also important. 4. Sell in bulk. This one is a bit tricky. Players are almost always looking to buy dirt. Most want it transported to their deed and pay a handsome amount for it. You’ll need a boat to transport (in most cases) or at least a cart, and a lot of dirt. People who are making islands or doing a lot of terraforming are always interested in this. Again it’s about advertising and PATIENCE. Just because someone doesn’t snap up your offer the second you make it, doesn’t mean there’s no interest. 5. Purchase a trader (50 silver) and work the market. This method is the most complicated and one I wouldn’t attempt unless you’re ready to really get invested in the game. You’ll need a trader (note, this is different from a merchant) and you’ll need to keep them stocked with items that you sell as well as purchase from them in order to give them a good selling ratio. When the king gives out his funds your trader will acquire some, you sell items back to him for coin and ta da, money. Except it’s really not as simple as that. Number one if the trader is public others can use him and obtain any coin he has. Number two it’s really a math game, keeping his sell ratio up so he receives a generous cut. It’s time consuming, and you really ought to know what you’re doing. Plus there’s the fact that it costs 50 silver to purchase, and that’s not exactly chump change. There are of course other ways to make money in-game, creative ways that you can think of to take advantage of. Why not offer your services as a home decorator, or a deed constructor. Why not purchase old deeds and fix them up then re-sell them for a bit of profit. In WurmOnline time = money, and the more time you invest, the greater the profit.